15 Best Classic Retro Toys for Toddlers! How about giving your child a vintage toy for Christmas? How cool would it be to see your kids playing with the very same toys you played with when you were a toddler? Imagine watching your little ones pulling that classic chatter phone the same way you used to? Or banging loud notes on a classic xylophone? I believe we had some of the best toys ever made! Why not give your child a classic retro toy? On this page you are going to find the most classic retro toys for toddlers! I’m sure you feel the same way here…..
We all have great childhood memories playing with our toys, don’t we? 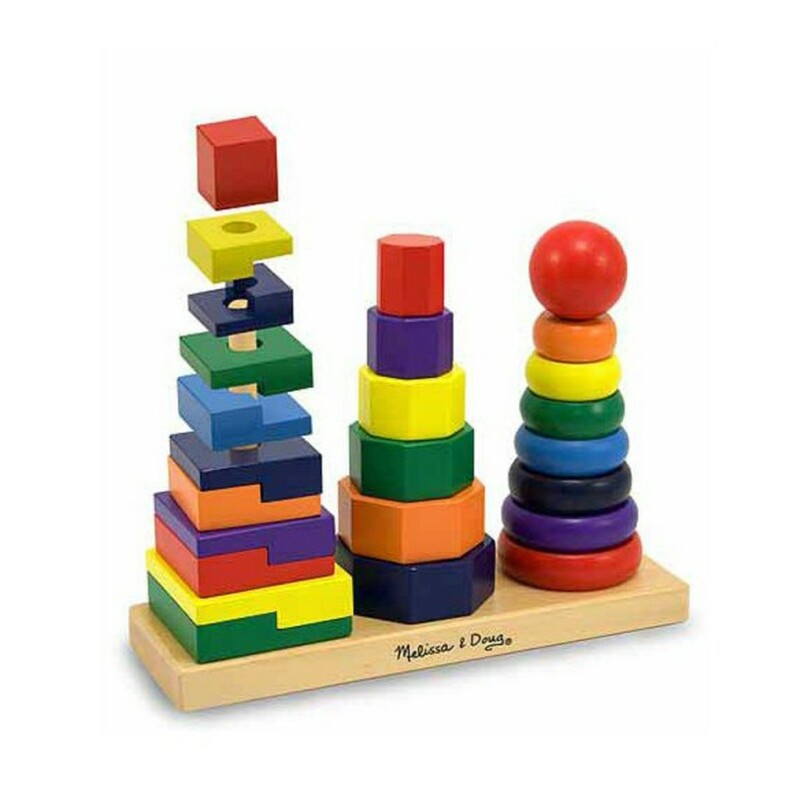 I had a chatter telephone, a xylophone, a rock-a-stack toy, and a few other classic toys and I had a blast! Our very first toys are very special. Their memories will be with us for the rest of our lives! 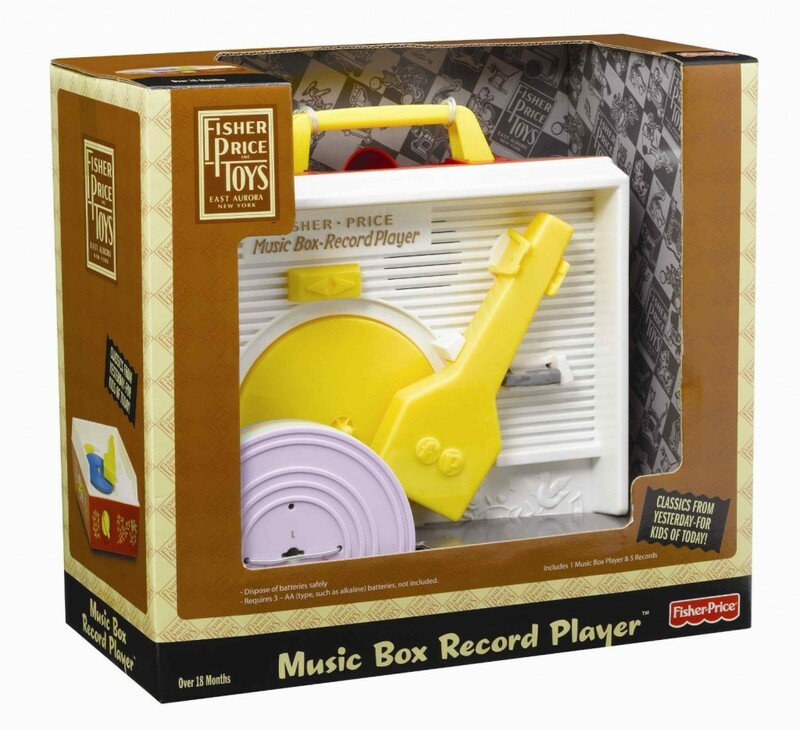 I had this ‘record player’ on the picture when I was very little and it was one of my favorite toys! I spent hours and hours listening the fun songs and singing and dancing along! Classic Retro Toys are Still the Best Toys! We played with our bodies and our imagination! We were super-heroes, princesses, kings, warriors, good guys, bad guys, we ran, we jumped, we sang, we chased, we hid, we discovered! I have so many great memories playing with my ‘vintage’ toys that just by talking about them it brings tears to my eyes! 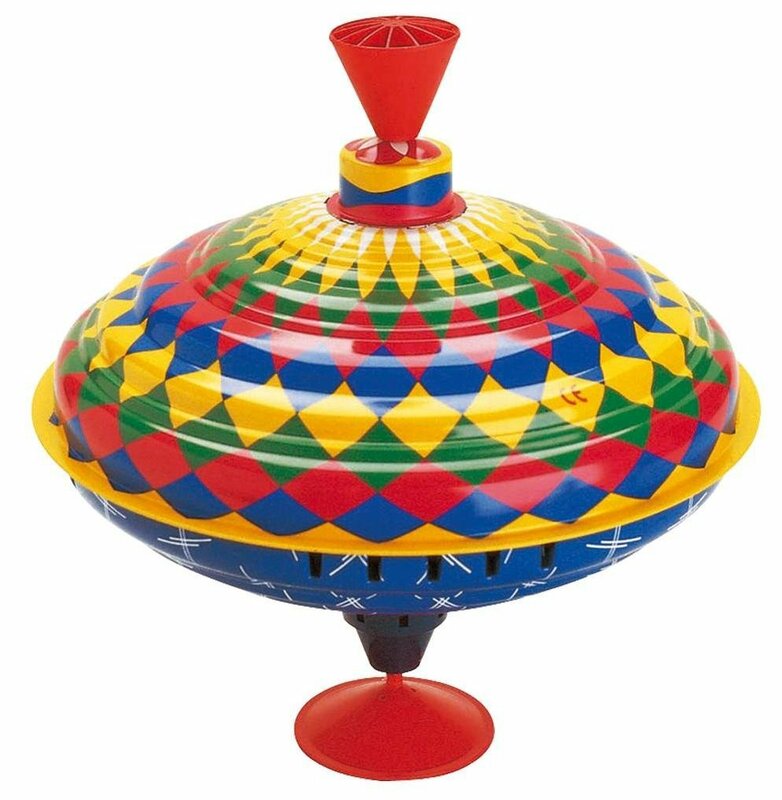 *I had several of these fun and colorful tin spin tops! Best Classic Toys of All Times! They will love this classic chatter phone! Of course I had one too!! I remember clearly pulling my cute ‘phone’ all over the house! 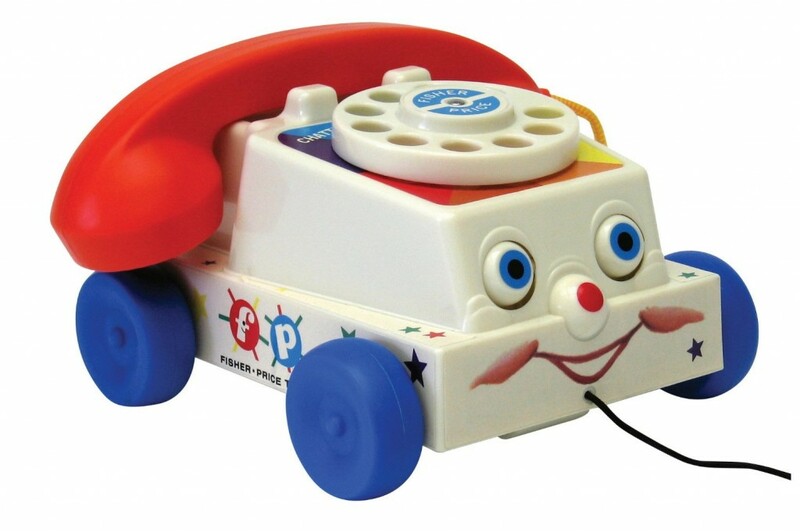 The Chatter Telephone is still a super fun pull-along toy for toddlers! His eyes roll up and down, his mouth chatters and the dial rings! One of the best classic toys for toddlers ever created! One of my favorite toys as a toddler!! I loved the way its eyes moved!! That’s when my passion for music started! 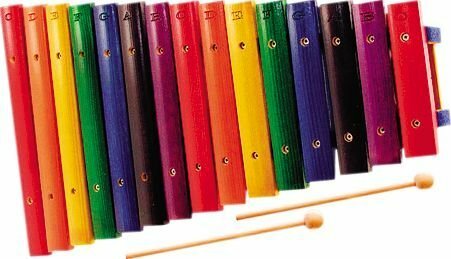 After I got my first wood xylophone my world was never the same again! I discovered my passion for music! I would play my xylophone for hours and hours on end! Give your child a classic wood xylophone and let him discover the beauty of making music! Every little kid loves this toy! 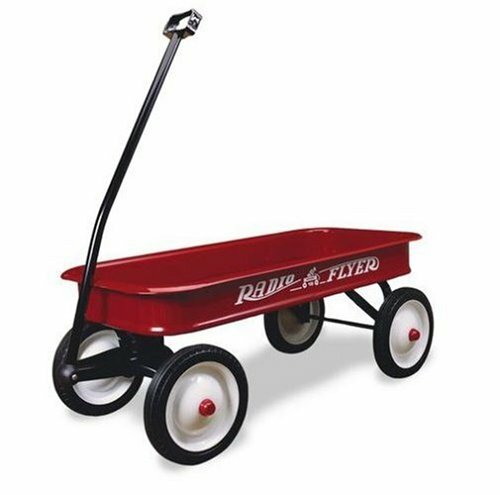 It can be used for riding (they love that…) or for carrying their favorite toys around the house or backyard! It is also very good for them to develop their leg muscles and for coordination! Who didn’t have one of these? I loved placing all my dolls and small toys inside and making them ‘travel’ to another place! I’m sure your child is going to love it too! One of the best classic toys for toddlers! 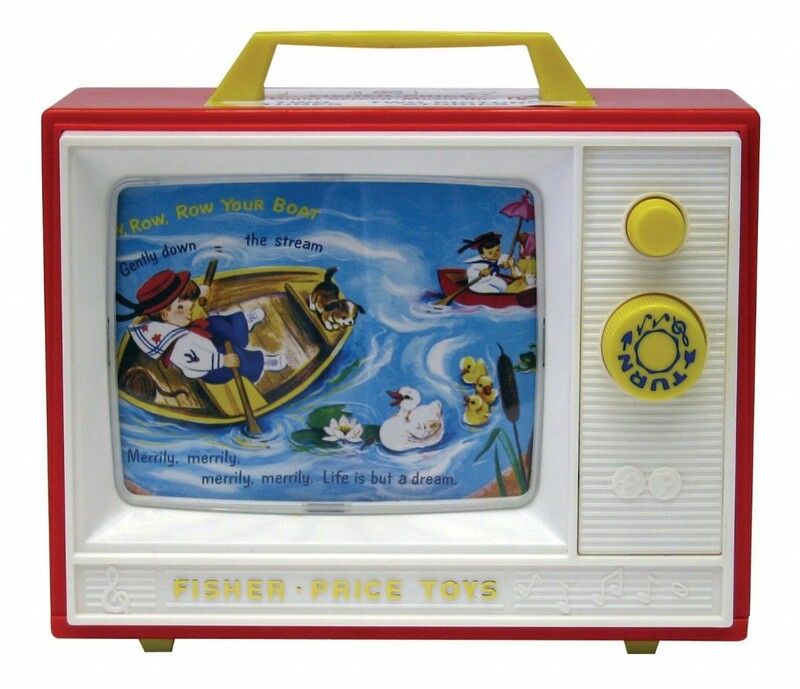 Who had this fun musical TV? This kiddie TV is a lot of fun! It plays music as the images move! My little sister had this one and she loved it! One of the most fun classic toys from the past! Classic Corn Popper Push Toy! All toddlers love this toy! It is so much fun to push this toy and watch the colorful balls move inside! Perfect fun way to encourage toddlers to walk! 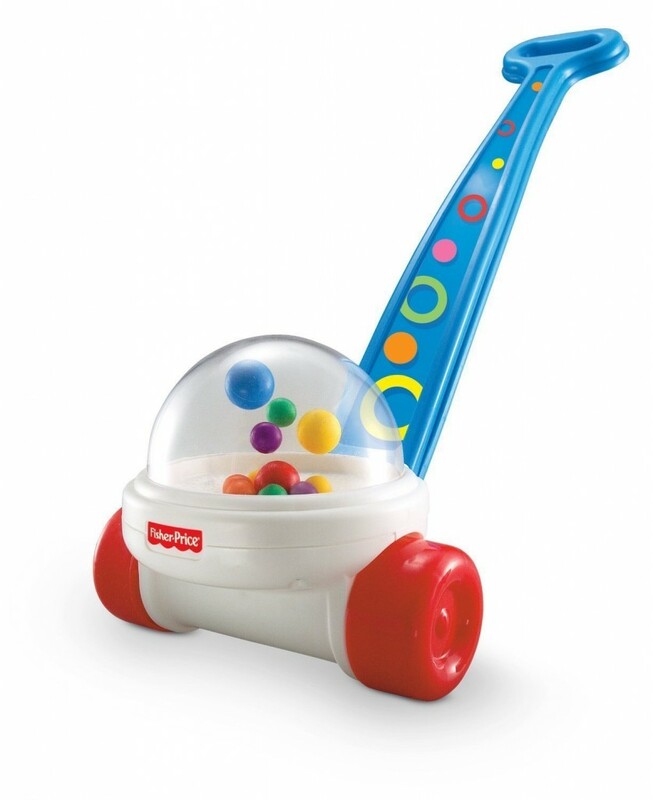 As they push this fun and colorful toy, they hear sounds, they see lights and the colorful balls pop inside! The more they do it, the more they wanna keep doing over and over again!! *This toddler boy is playing with his new corn popper! 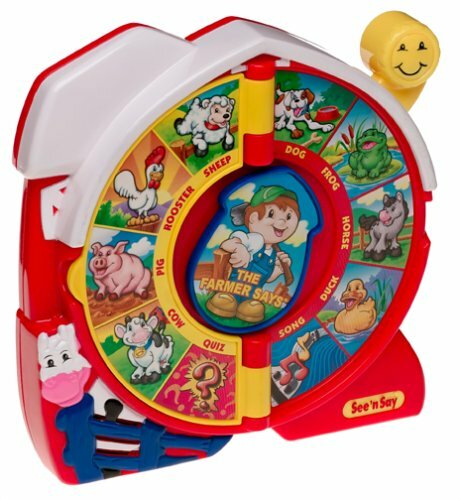 One of The Best Educational Classic Toy for Toddlers! 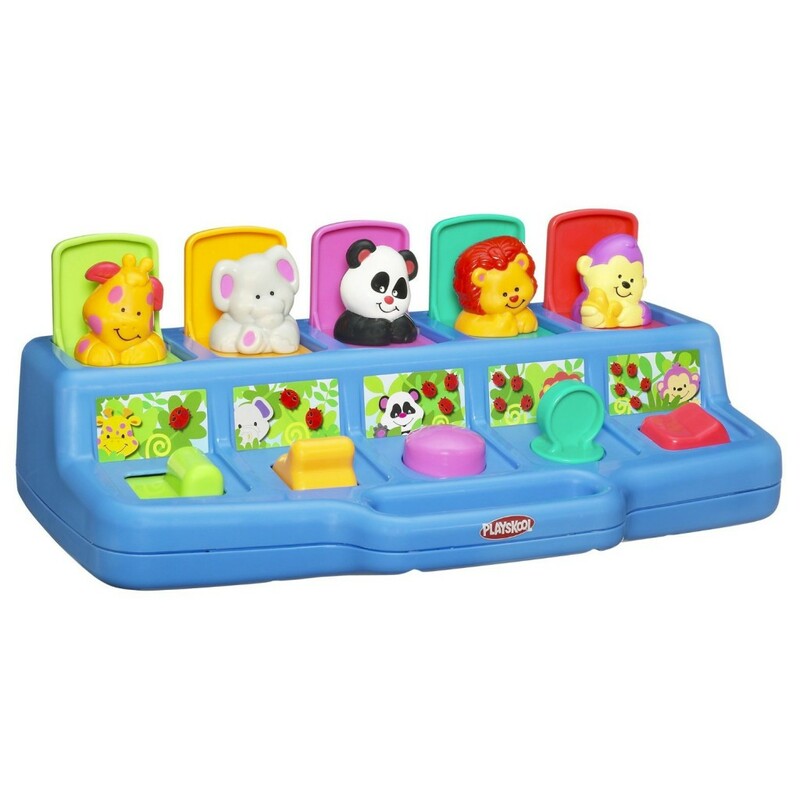 This classic toy will help your children learn numbers, colors and animals names and sounds! This is one of the most bought classic educational toys for toddlers around! They love to hear the animal sounds every time they pull the lever! *This boy offers a very nice review of this classic toy! Of course I remember my teaching clock!! 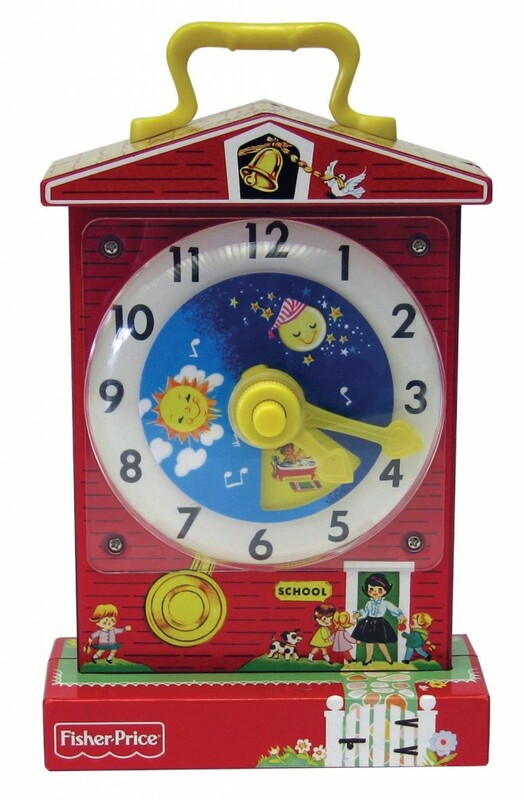 It is perfect for teaching your little ones how to tell the time!! But I still had a blast with my clock! 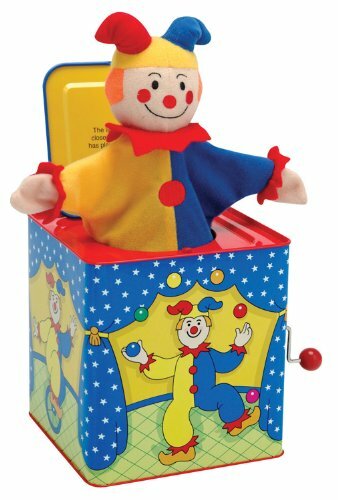 Schylling Jack-In-The-Box Classic Toy for Toddlers! Did you have a Jack-in the-Box toy? Have you ever watched a little child play with a Jack-in-the-Box toy for the first time? This fun and colorful jack in the box features an adorable and very colorful clown that pops up as you play, pop goes the weasel! Made of metal, just like ours from the past! One of the best toys from the past ever! It is fun and perfect for them to learn about different colors and shapes! This one is made from solid wood and it has 25 pieces! Hand puppets are a lot of fun! Little kids absolutely love them! I had a lot of hand puppets as a child and I loved to make different voices as I played with the characters! Great for story telling too! 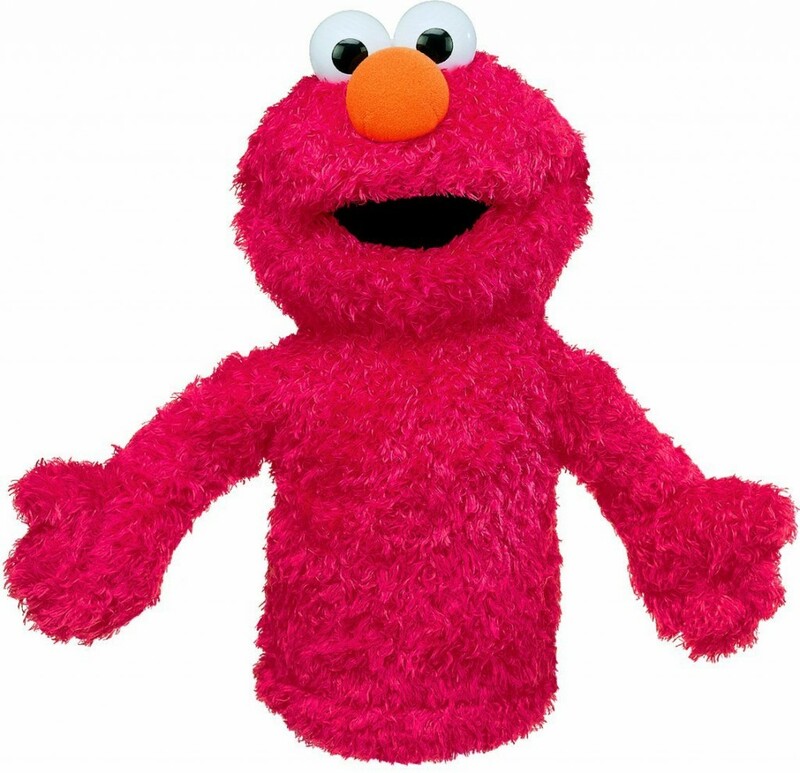 These are the most fun Sesame Street characters hand puppets around! Fun Toys from the Past! 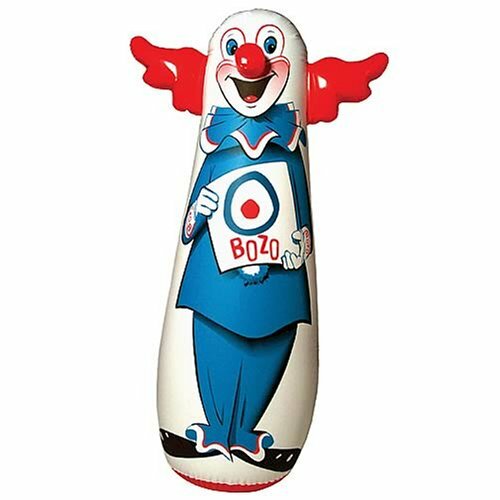 Who had this Bozo toy? Kids love to try and knock him down! But he keeps getting back up!! I had a blast ‘punching’ him! Cute and Colorful Poppin’ Pals Toy! This is a precious toy for your toddler! Your child will have hours and hours of fun making these cute fellows appear! 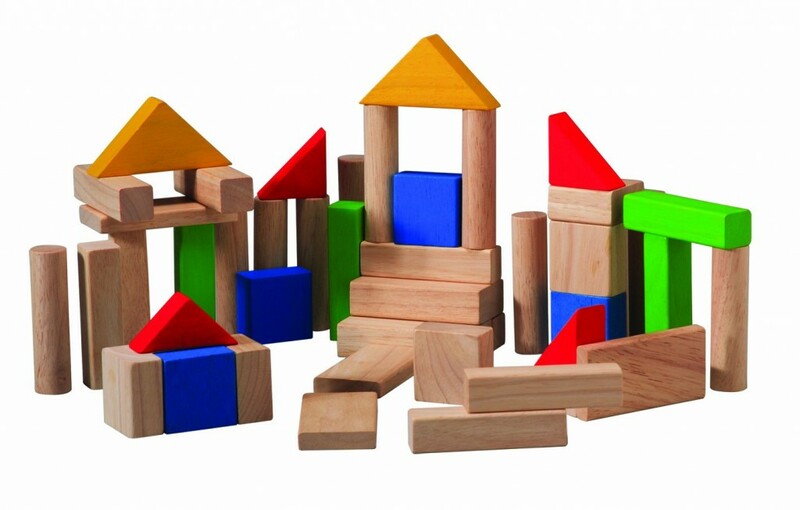 Wooden Building Blocks for Toddlers! This was my absolute favorite toy as a toddler! I loved “building” houses and castles with my construction set! It is an excellent toy to develop your toddler’s imagination and creativity! I remember having ‘building contests’ with my sister and cousins when we were little! We would build something amazing and then ask our parents and grandparents to ‘vote’ for their favorites..
Best 70’s and 80’s Toys!